We believe in earning your business with the Quality, Integrity & Service you deserve! 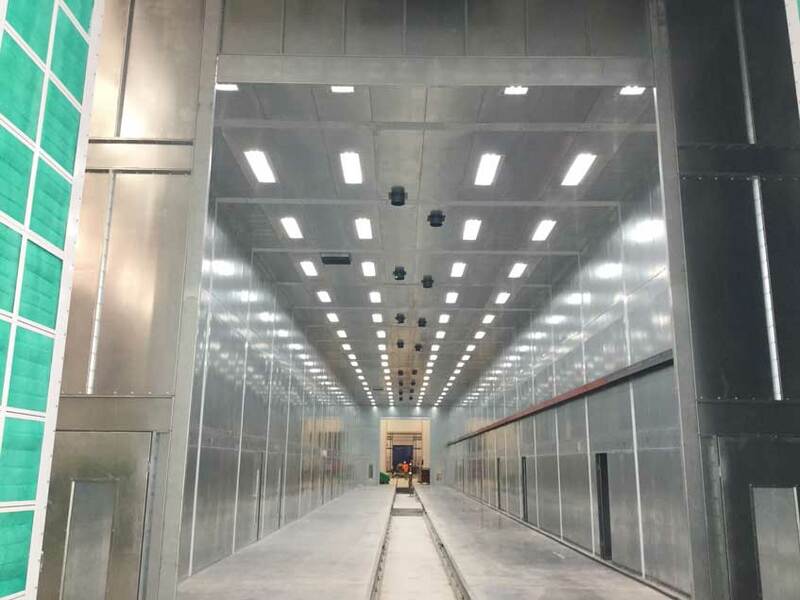 We are proud to provide you with only the highest quality industrial and automotive finishing equipment and systems, including paint booths, spray booths, powder coating booths, ovens and so much more! 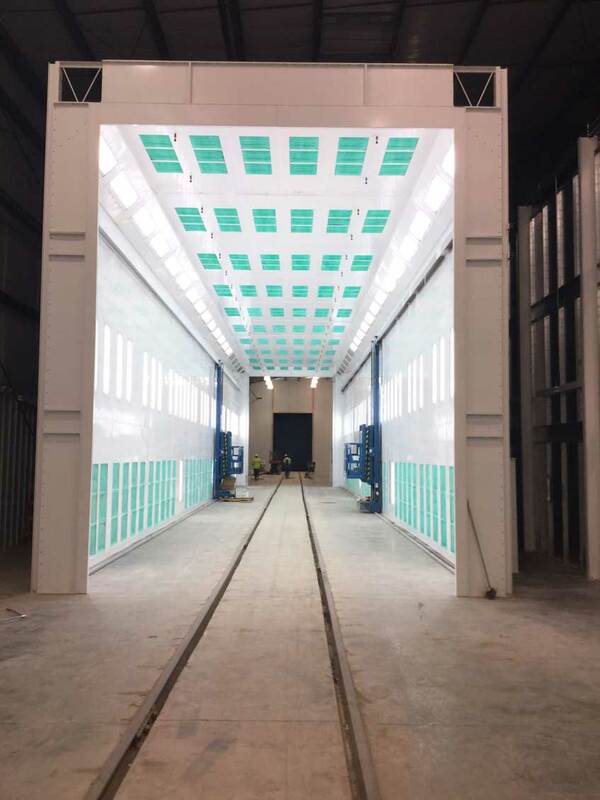 We have everything from small part paint booths to large truck and train booths. Our team is standing by to assist you with the design, acquisition, integration and installation of your industrial and automotive equipment. 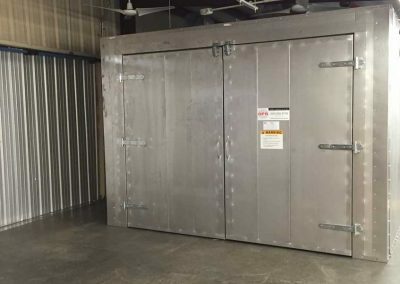 We offer standard size pre-engineered paint booths, powder coating ovens and powder booths as well as custom sizes to fit your finishing needs. When it comes to custom applications and design we are an industry leader. 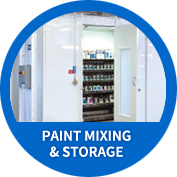 We are here to find the right solution for you, whether you are adding finishing equipment to your current paint or powder coating system or need to replace or add a new line. We have you covered no matter what type of finishing you do—from wood, planes and trains to automobiles. 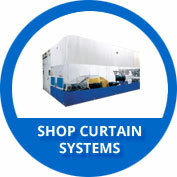 If you are a custom job shop, fab shop or manufacturer we can help you with your process. We specialize in helping finishers increase productivity. We take the time to travel to our clients and properly asses their needs. After a comprehensive study of your current process, we consider if you will need a complete line or system replacement in the future or upgrades to your older equipment. With the current rise in EPA regulations including 6H and OSHA regulations, you will want to make sure that your finishing department meets or exceeds industry standards. We are here to point you the right products that will meet your production requirements efficiently and safely. We continually monitor any changes to the laws that may affect you and your companies refinishing program. See the images below for some of our most recent projects! We want you to be one of our satisfied customers today! We travel the entire country to better serve our customers like you! 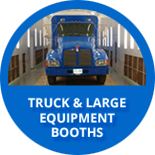 With industry leading experience in all aspects of finishing equipment sales, service and installation you will not be disappointed with your next booth purchase from us. Click here to see more satisfied customer and what we did for them. 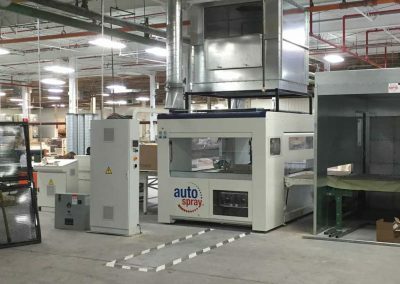 As one of our customers you have access to our finishing equipment & systems installation team! 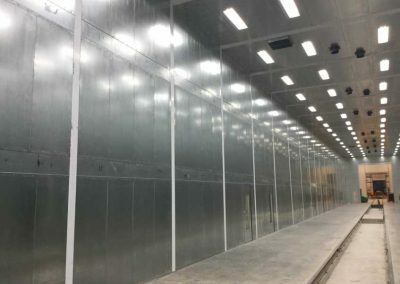 We can professionally install your paint booth, spray booth, prep station, paint mixing room, finishing system, industrial paint booth or heated make-up air unit to meet your high standards. 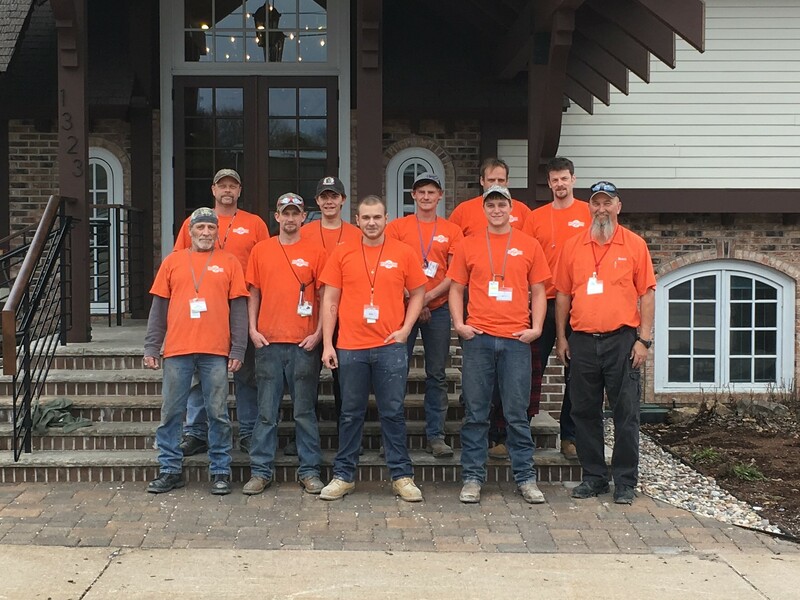 We are ready and capable to assist you with a full system installation, from concrete, roofing, and electrical to fire suppression and permitting. 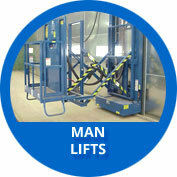 Need equipment moved? If you are looking to relocate or have purchased used finishing equipment we can move it! 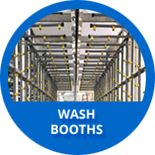 Call 1-800-637-4027 for a consultation, or browse our assembly instructions and booth guides if you would like to save money and install your own booth. Whatever you decide, you have just purchased your new finishing equipment from the right place. We provide system design and integration solutions to: Morgan Olson Truck Bodies, Metro East Industries, New Flyer Bus Company, Rosenbauer of America, Carlson Composites, Advanced Manufacturing, Embraer Executive Jets, CSX Rail Cars and Basler Turbo to name a few. We want you on our list of satisfied customers! No system is complete without high quality compressed air. 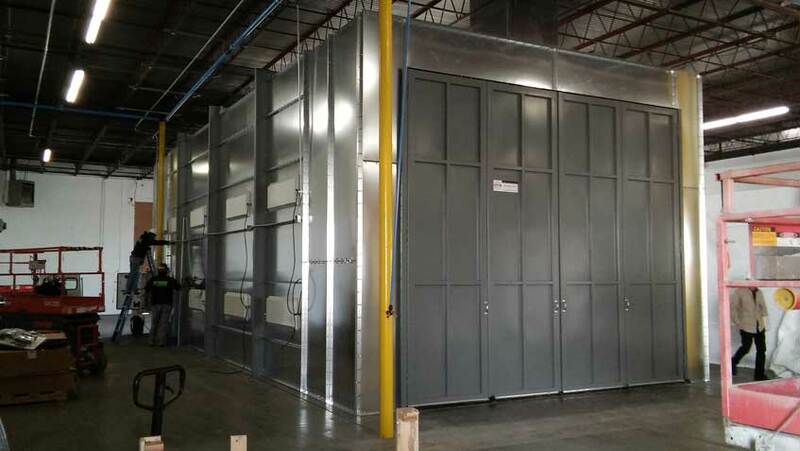 We feature Mattei Compressors with rotary vane energy saving technology, Prevost aluminum airline and Tsunami air drying solutions, which we can install and integrate into your existing facility and operations. For your convenience, we also offer a complete line of replacement parts including filters, fans, gauges, gaskets, etc. 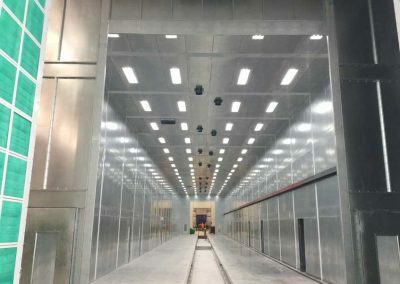 Please feel free to look at our gallery for some of our most recent paint booth, system, conveyor and equipment installations. The most important aspect of buying a booth or other finishing equipment is to be an EDUCATED buyer. There is so much more to it than just a low price that you found online. Ads that say “Lowest Paint Booth Prices” lowest price and QUALITY do not often mix. This is ultimately where your buying decision starts. Are you buying just on price? Or do you want a quality product that will last your shop an average of 20 years? 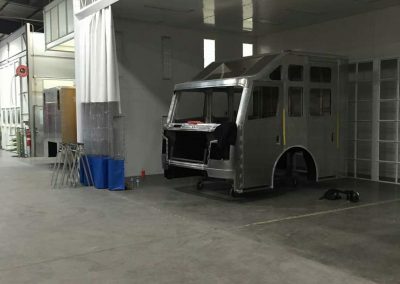 Many low-cost sellers lack the knowledge and team to help you with more than just the purchase and shipping of a paint booth. When you decide that you want more than just a price, that’s where we step in. The true cost of a booth or other equipment lies in the purchase price but also the installation. Companies that buy on price are usually surprised that the company they bought from did not educate them on any of the install process that will soon follow the delivery. 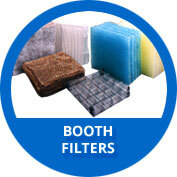 Remember, the cost of the booth is only one detail to consider when purchasing finishing equipment. Don’t be caught off guard at the cost of the installation process. 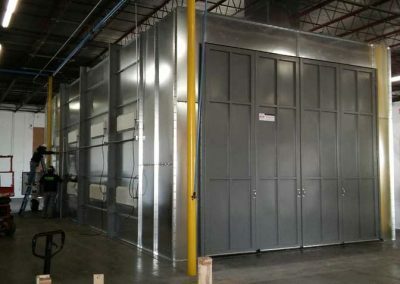 Browse www.paintboothinstallers.com to get an estimate for mechanical and electrical install pricing today. What sets us apart from our competitors is the premium we put on educating our customers. We inform you with the know-how and supply you with the necessary knowledge every single step of the installation process. In the consulting phase, we encourage you to submit a request for a formal quote so we can provide a comprehensive assessment of the equipment you need or the design that will best fit your shop and provide an optimum workflow. We don’t keep our true opinion to ourselves so we can up-sell you or hook you. We are humble in our approach to creating the perfect design that will win your trust and fulfill your requirements. 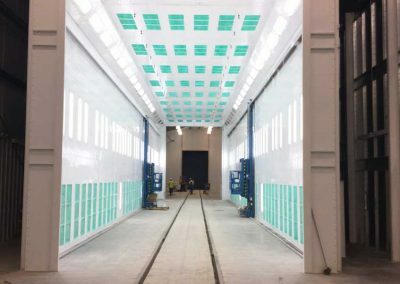 In the purchasing phase, we know the actual paint booth structure is just one of many purchases. 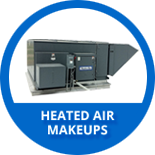 We are experts in heated air makeup, paint mixing rooms and industrial ovens. 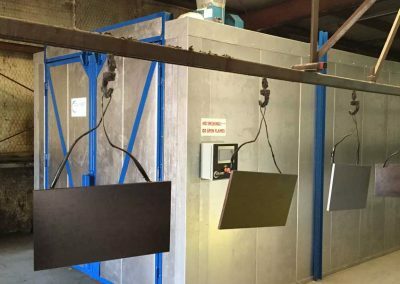 These accompaniments to your paint booth are complex equipment in themselves, and we want you to know the ins and outs of each accessory. We are interested in you purchasing from us, but we are also interested in seeing your business grow just like ours, and that requires knowledge of the mechanics behind a finishing line. In the installation phase, we are honest about freight charges and delivery time frames, because we know the construction process is a complicated one that is prone to interruptions. 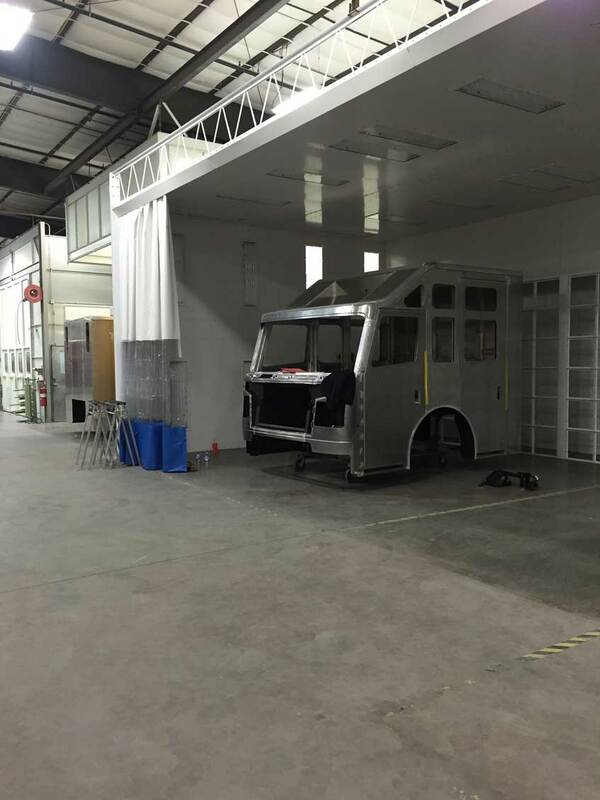 We enjoy what do as a traveling installation company, and we want you to have a smooth installation process. 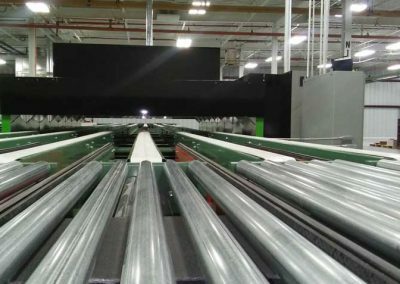 We don’t just handle your job professionally, but we approach it as a creative endeavor to perfect your conveyor system or finishing line. As we carry out installation, we are happy to share our knowledge and tips for mechanical and electrical components. We want you to the know the equipment like the back of your hand, and we don’t expect you to learn by yourself. We take pride in our installation work, and we want to make sure the equipment is operated with care and precision. We don’t just provide installation and walk away. As our customer, you obtain a comprehensive warranty for both your electrical and mechanical installation. We have years-long customer relationships and often do multiple jobs for our customers because our professional relationships are built on trust. Once our install is complete, you remain our customer! You have the peace of mind that we are here to answer your call, service your equipment or finishing line and provide you with filters, lights, parts carts, frame racks and man lifts. 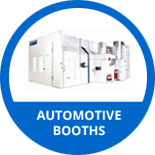 We always know what is cutting-edge, and we can update your old booth to keep you at your most competitive. In addition to installation, we also specialize in the opposite: tearing out your old booth! 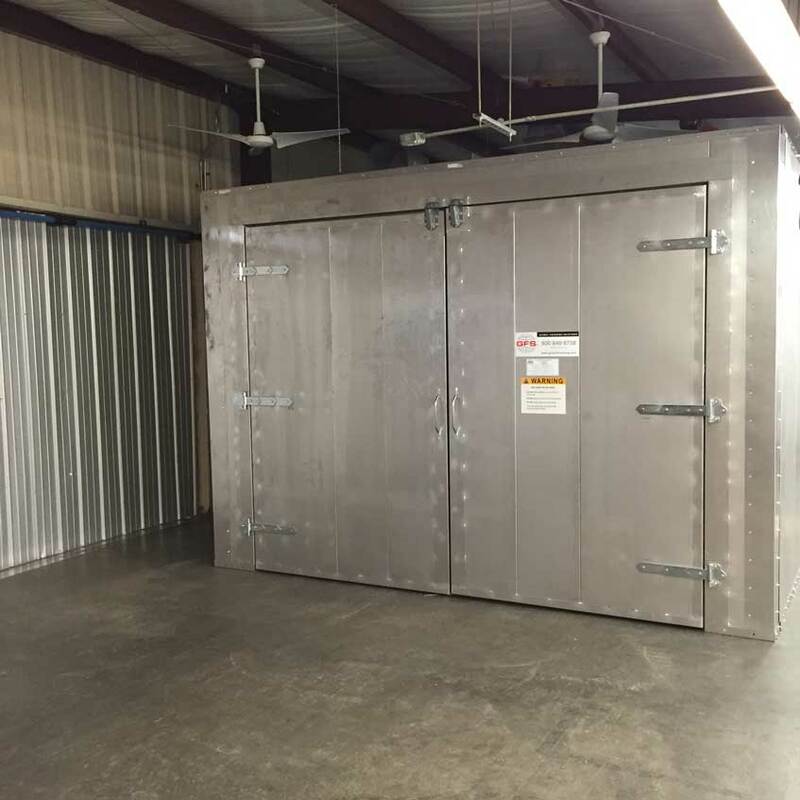 We will figure out the best way to remove and dispose of your old paint booth so that your new installation will go as smoothly as possible. As your business grows, your workflow may change, and you might find yourself needing to relocate your conveyor system or finishing line, you’re in luck, because we are experts at relocation as well as installation and removal. We really do it all. Work with a team you can trust! 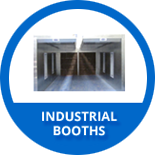 We are not just a paint booth installation company, we install many types of industrial booths and equipment as well. No matter what your finished product is, we offer the solutions you need. 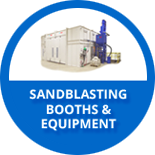 Sandblasting is an integral aspect of the finishing process so that any rust, residue or old coating is removed from the surface of the piece you are finishing. 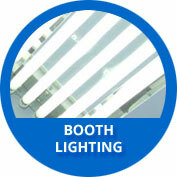 Our booths are designed with worker safety in mind. Let us help you design your shop layout today! After your piece is clean and ready to be coated, you can consider liquid painting or powder coating. Powder coating has become a highly competitive market. 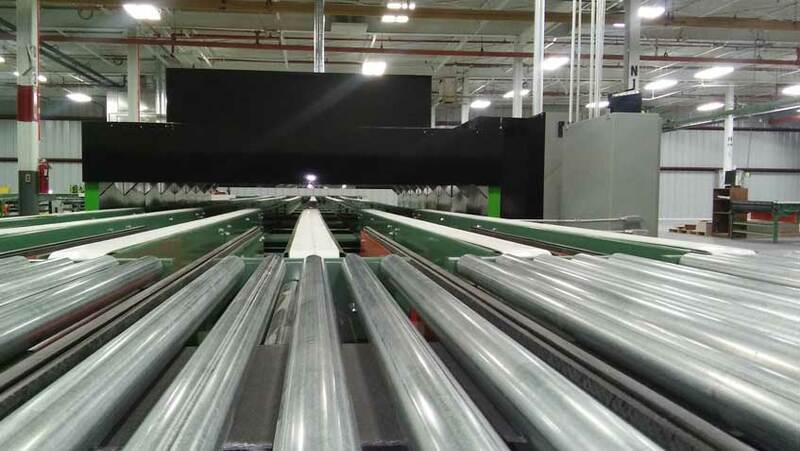 Since the coating does not involve volatile organic compounds like liquid paint applications, it is easier to maintain a healthy work environment—the main concern in powder coating then becomes recycling materials to cut operation costs and conserve energy. 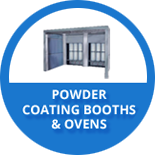 So instead of exhausting air from the booth enclosure, some models of powder coating booths re-circulate the air in the application room. See science live in action in your powder coating process! The zinc-based primer applied by your electrostatic gun receives a positive charge as it passes through the gun onto the surface. This positive-charged coating is attracted to your work piece’s negative charge. 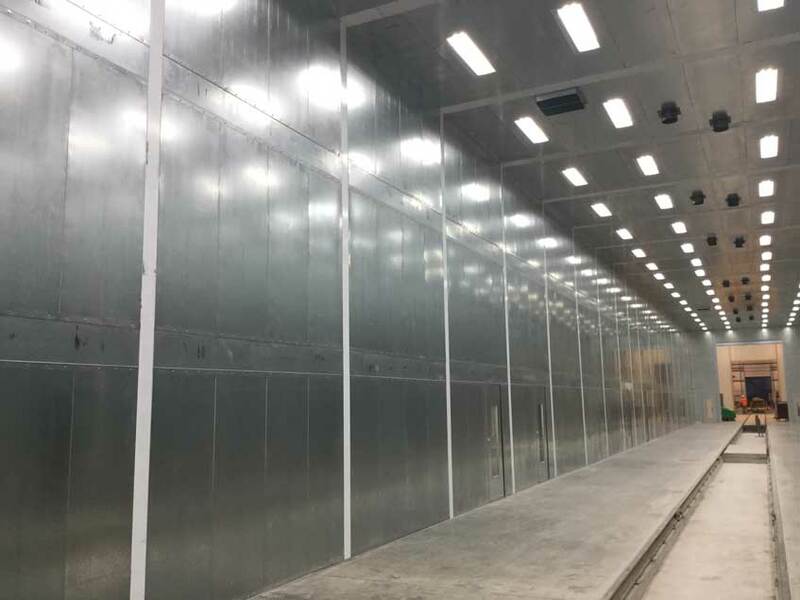 This attraction between the powder compound and project surface is what keeps overspray at a minimum, and you get the added bonus of precision—the powder coat cannot be applied too thickly due to the positive charge. There you have it! 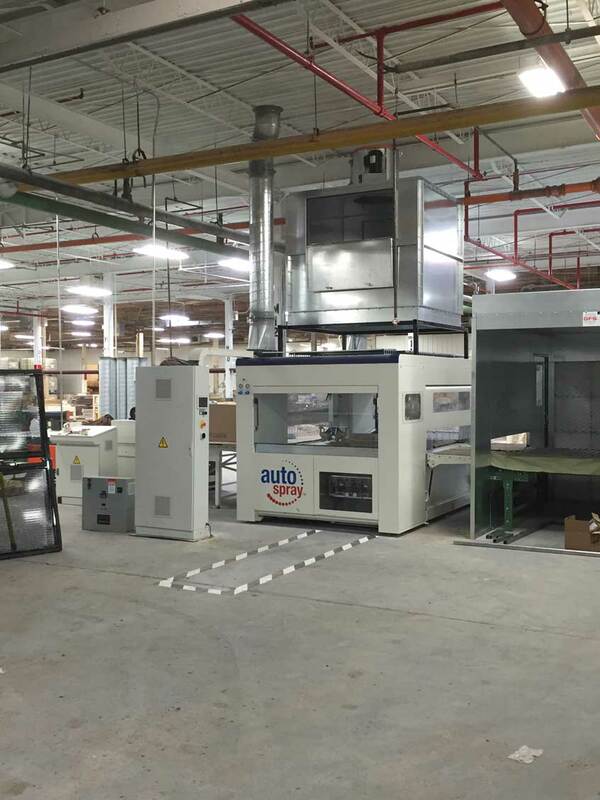 Once the powder is applied precisely and evenly, the work piece is transferred to the powder coating oven to be heated. The coating turns to gel—this takes great care to manage since the powder is not directly adhered, but clinging to the surface by static electricity. Do not bump or touch surface at this time so there are no finish imperfections. Depending on the volume of steel being heated, your work piece will stay in the oven for a specific period of time. Once your first powder coat is “gelled” in the heat, the piece is sent right back to the powder coating booth to receive the final coating. Usually the powder coating is a specific color. Then it’s off to the oven again to be fully baked and prepared for the next phase in the manufacturing process. 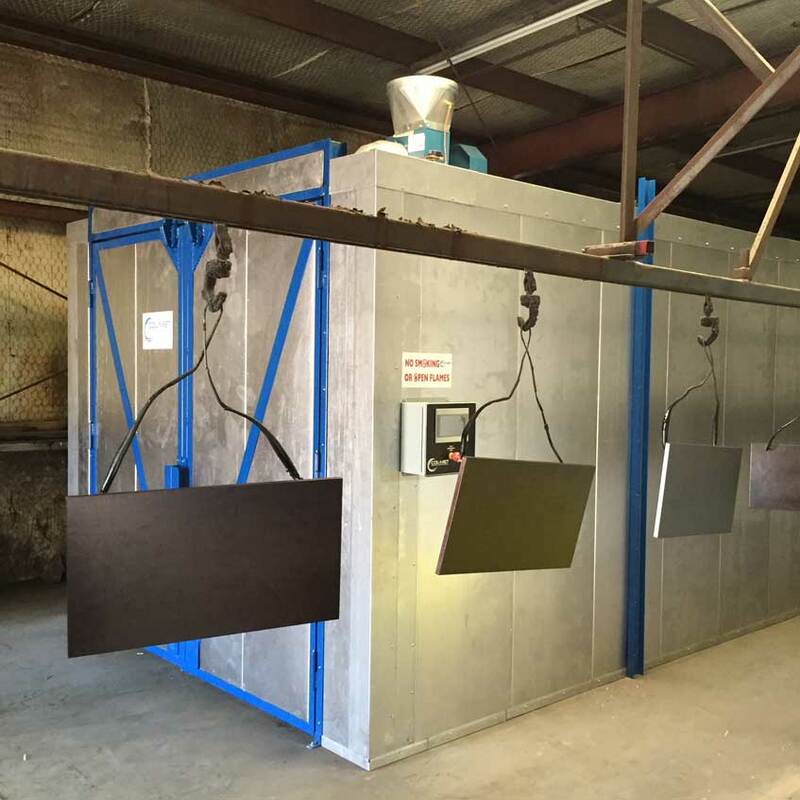 There are several advantages to powder coating your product. If you are in the transportation industry, you know the need for durable coatings against road damage like rocks. With powder, you get a flexible coating that withstands bending. The powder will not splinter off when the product is bent, yet the powder coating is durable and resistant to impact. Besides this mechanical benefit, there is the added advantage of nonhazardous waste. Often overlooked, the very last step of any finishing line is actually removing and disposing of the waste create during the process. There are no harmful volatile organic compounds used in powder coating, so there are no extra steps in disposal. Saving time and energy saves money!